Pictures are posted, but without any words of wisdom because I had a date with my honey and I didn’t know if we’d be returning by the midnight. And it MUST be posted today. You all know how that works. I have to have a recipe post every day. Ok, at least on those days that I’m not sick or Blogger isn’t working. 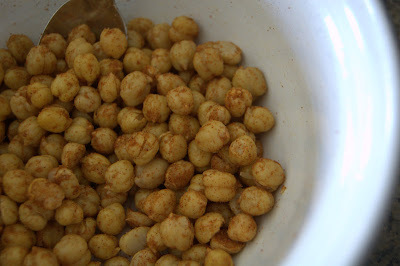 I’ve seen different recipes for this snack on the internet and became very interested in trying it. Prepare a rimmed baking sheet by lining it with parchment paper. Drain and rinse the chickpeas very well. Remove the skins from the peas. (I heard that removal of the skins can allow for some extra crunch, so I chose to do it. It took a little while, but not too long as quite a few of the skins were removed when I rinsed them. 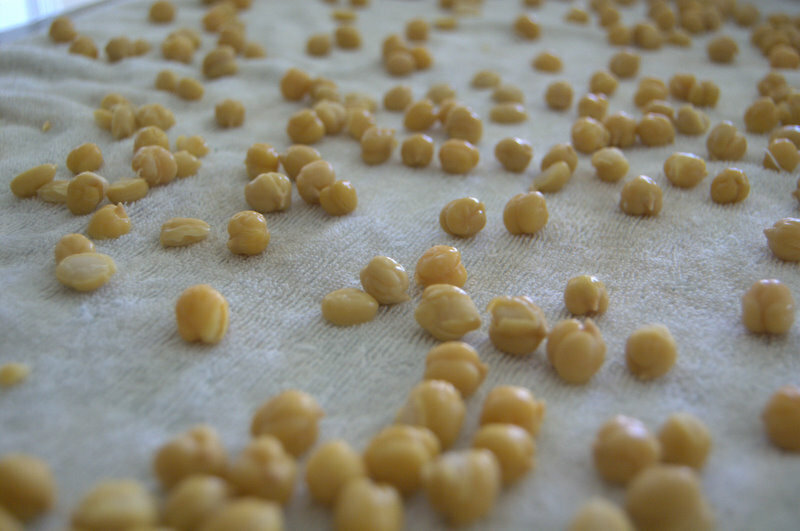 Place chickpeas on a towel and with another towel placed on top, pat to dry. In a small bowl, combine cumin, paprika and salt. Mix well. 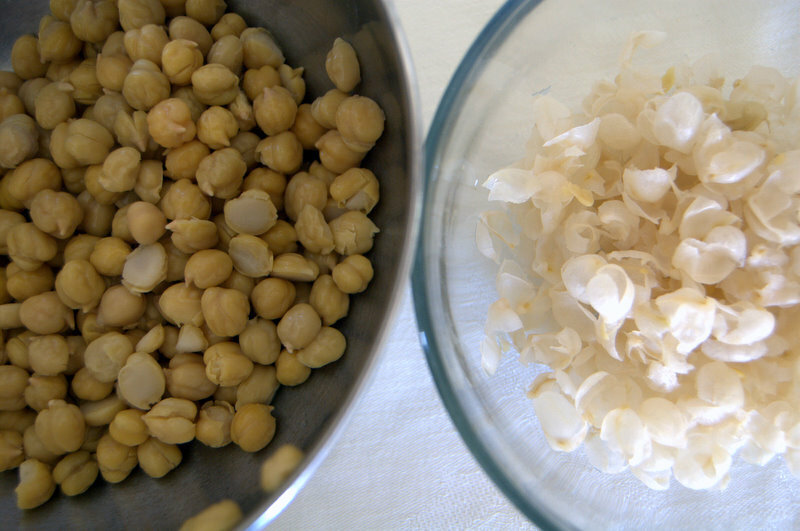 Wait, those have nothing to do with chickpeas! 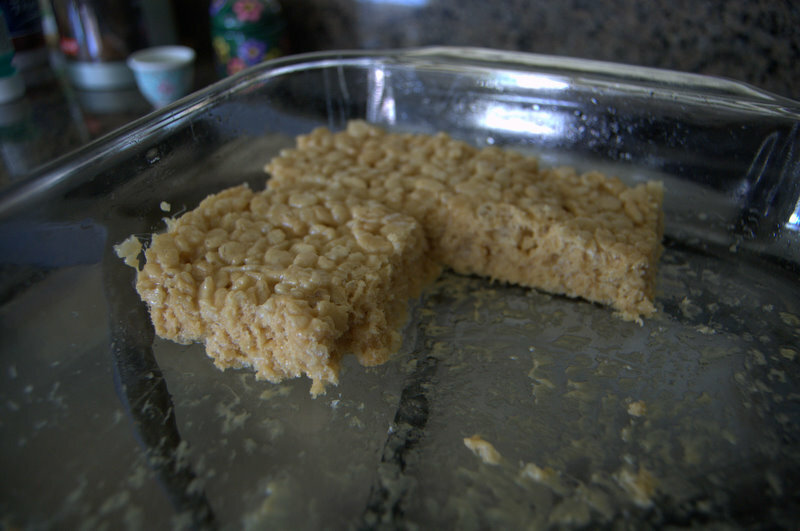 But they sure are yummy – Peanut Butter Rice Krispies Treats! Place the chickpeas on the prepared baking sheet in a single layer. Bake for a total of 30 minutes, removing them at 15 minutes to turn over with a spatula and then return to oven. I thought these were different and had an interesting texture. They were a little crunchy on the outside and somewhat soft on the inside. I enjoyed them, but other family members did not. My son thought they were ok, but won’t eat them again. My middle daughter was disgusted and spit it out (she is opposed to bean and their texture), and my husband as he was chewing said, “No”. I’ll make them again for me and I’d like to experiment with different spices. 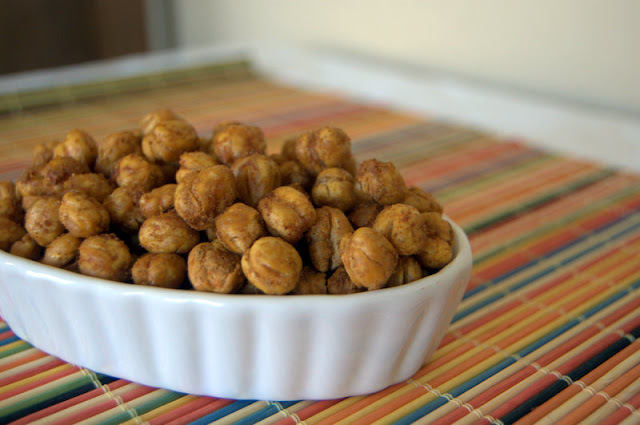 They are a healthy snack and better for you than the sweets I’ve been making. I rate everything I bake on a scale of 1-4 with 4 being the best and these Spiced Chickpeas earned 2 rolling pins. These sound really good! I’ve been wanting to try roasting chick peas for awhile but whenever I have them, I seem to turn them into hummus before I can manage to do anything else!